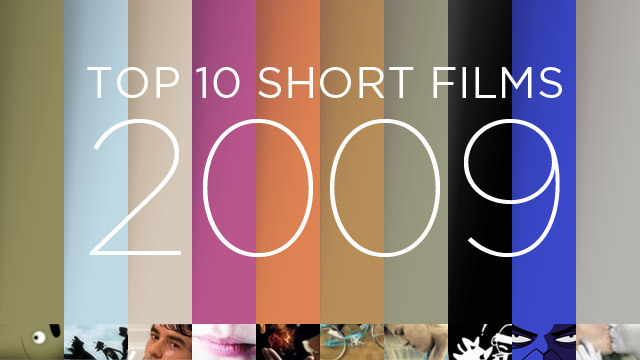 I just discovered that The Cat Piano has been selected as one of the ‘Top 10 Short Films of 2009‘ on the blog ‘Shortoftheweek.com’. It was cool to see that the film was on a lost such as this and alongside such great shorts as Nash Edgerton’s ‘Spider’ and Jeremy Clapin’s ‘Skhizein’, both of which I loved. I really love the layout of the front page too, featured below with the coloured strips and the images from the films below them. Really happy that the Cat Piano blue tone got a look in. There is also a well written review of the film if you click on the word.